DeWys Manufacturing has recently been recognized as one of the 2012 “Michigan 50 Companies to Watch,” an awards program sponsored by the Edward Lowe Foundation and presented by Michigan Celebrates Small Business. DeWys Manufacturing will be honored at an awards ceremony during the eighth annual Michigan Celebrates Small Business event, May 3, 2012 in Lansing, Michigan. 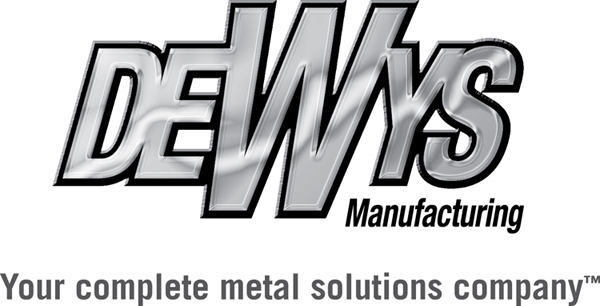 DeWys Manufacturing is a complete metal solutions company. They encompass a circle of companies, which includes the following capabilities; precision sheet metal, machining, powder coating, metal stamping, and product assembly. This concept is what sets them apart. Companies making it to the “Michigan 50 Companies to Watch” list are a remarkable group of second-stage companies. Defined as having 6 to 99 full-time-equivalent employees and generating $750,000 to $50 million in annual revenue or working capital from investors or grants, these companies form the backbone of Michigan’s economy. Representing all regions of the state and a diverse range of industries, companies like DeWys Manufacturing are known for their exceptional entrepreneurial leadership, creation of innovation or use of innovation in creative ways, and their sustainable competitive advantage. Winners were selected by Michigan-based judges from the banking, economic development, entrepreneurship development, industrial and venture capital communities.